Axis Bank is the third largest private-sector banks in India offering a comprehensive suite of financial products. Headquartered in Mumbai, the Bank has 2,959 branches, 12,743 ATMs and nine international offices. The Bank employs over 50,000 people and had a market capitalization of `105,833 crores (as on 31 March 2016). It offers the entire spectrum of financial services to customer segments, spanning large and mid-corporates, SME, and retail businesses. 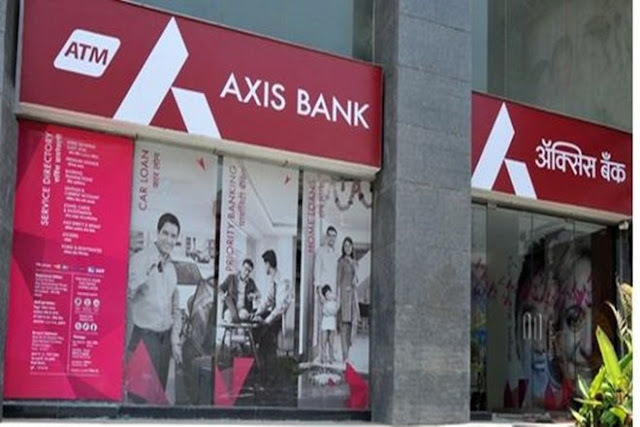 Axis Bank has its registered office in Ahmedabad. As of 30 Jun. 2016, 30.81% shares are owned by promoters & promoter group (United India Insurance Company Limited, Oriental Insurance Company Limited, National Insurance Company Limited, National Assurance Company Ltd, GIC, LIC & UTI). Remaining 69.19% shares are owned by Mutual Funds Institutions, FIIs, Financial Institutions (banks), Insurance companies, corporate bodies & individual investors among others.